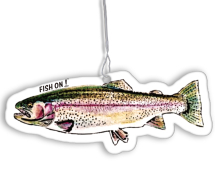 We all love fishing, but sometimes fishermen stink! 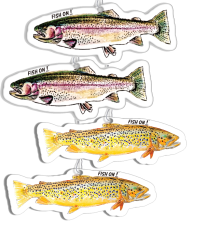 Freshen up your vehicle or gear closet using these colorful Trout Air Fresheners. 4-pack includes 2 Rainbow & 2 Brown Trout fresheners. 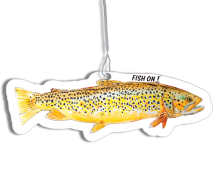 A perfect stocking stuffer or gift for your stinky fishy friends.